I received my B.S. and M.S. degrees in Geophysics from the University of Science and Technology of China, where I conducted research in a 3D joint inversion of seismic traveltime and direct current resistivity. After finishing my M.S. work in 2012, I entered graduate school at Penn State University. 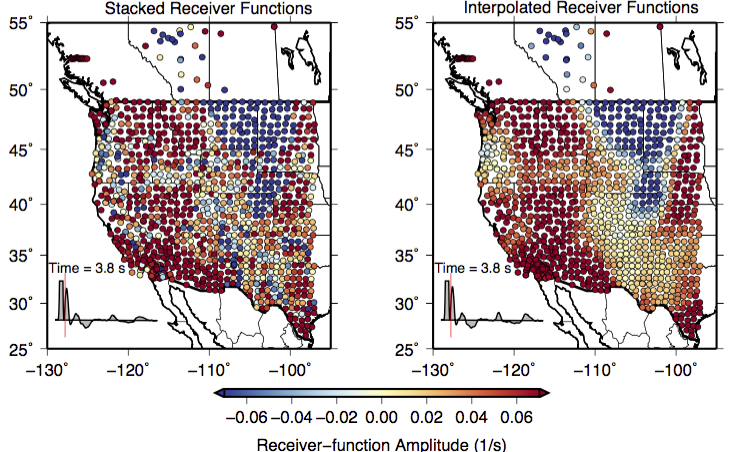 Majoring in Geosciences, my doctoral research involves improving seismic imaging beneath the United States region and developing waveform processing technique for the low-speed-material covered region (e.g. polar region and sedimentary basins). I participate in the earthquake detection and location using surface wave cross-correlations. 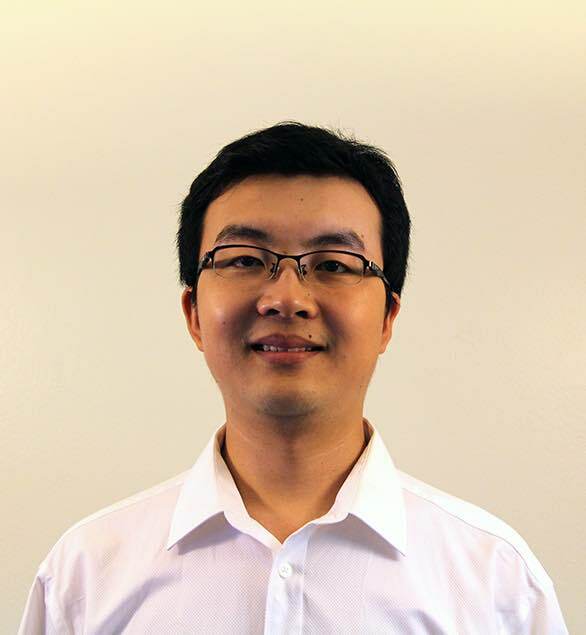 I have involved in some other projects, such as receiver function clustering analysis using seismic stations in China and microseismic tomography. I am also working on a Computational Science minor at Penn State. My research interests are in earth structure imaging and earthquake parameter estimation. 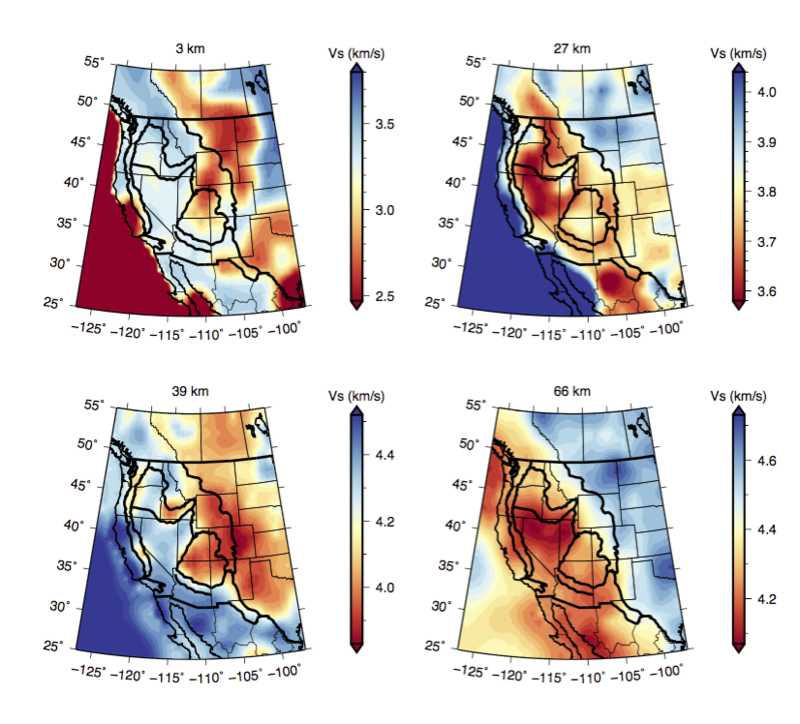 One of my research projects was to improve the seismic imaging beneath the western U.S. region. Working with Charles J. Ammon (Penn State), Monica Maceira (Los Alamos) and Robert Herrmann (Saint Louis University), I combined the P-wave receiver functions, surface-wave dispersion, and gravity observations to constrain subsurface shear speed variations using Earthscope’s USArray Transportable Array (TA) data. I developed a new receiver function interpolation/smoothing technique to improve the consistency of different data sets, extract coherent signals from the receiver functions, and reduce scattering effects and noise. The results were published in Geophysical Research Letters (PDF, Journal, Webpage). Another current project is applying the same method to the eastern U.S. region but with more observations. Another project I am working on is removing ice reverberations from P-wave receiver functions using Antarctic data. Ice reverberations on P-wave receiver function waveforms mask useful seismic signals from the deeper structure. By applying wavefield continuation and decomposition technique, I have suppressed ice reverberations on P-wave receiver functions. The resulting signals are used to constrain the subglacial structure by means of Markov chain Monte Carlo simulations. The results were published in Geophysical Journal International (PDF, Journal). Besides earth structure imaging, I am also interested in earthquake parameter estimation. I am working (in collaboration of Rhiannon Vieceli and Charles J. Ammon ) on earthquake detection and location using surface-wave cross-correlations. My effects on this project including source code development and data visualization. The C++ code I developed for this project has also been used in two graduate thesis studies. During my B.S. and M.S. studies, I have worked on 3D joint inversion of seismic traveltime and direct current resistivity, electrical resistivity tomography and magnetic survey. I have lectured and helped on two graduate level course in Penn State. In fall semesters of 2014 and 2015, I helped with computer labs for the course, introduction to seismology. During the labs, I answered various questions over a wide range of seismology problems. In the fall of 2015, I taught two classes for the course Introduction to Seismology. Each class was one and half hours long. And the topics that I covered included stress drop and earthquake magnitude scales. In the spring semester of 2016, I taught one class for the course Anything But Excel. In the 90 min class, I have shown students how to plot publication level figures using the Python package matplotlib and simple data processing using the Numpy package. Trough a step by step procedure, most students successfully reproduced the figures on their own laptops (the rest forgot to bring their laptops). The scripts were shared to students through Penn State online course system after the class. I am teaching labs for Physical Geology (GEOSC 001) in the spring of 2017. My work includes a short (15-20 min) lecture before each lab, organizing students to perform labs, answering questions, and grading lab reports. The labs cover a wide range of topics such as rock identification, ocean current simulation, earthquakes, and geological survey. Besides formal graduate courses, I also presented many computer tools and tricks for the Penn State Geosciences Computer Group. Some materials I have used can be found on this web page (Link). In the summer of 2016, I was a lecturer for the African Array REU. I have covered seismic reflection and refraction survery in an afternoon. Basic theory was explained in the course. I also made several animations to help students understand the theory. 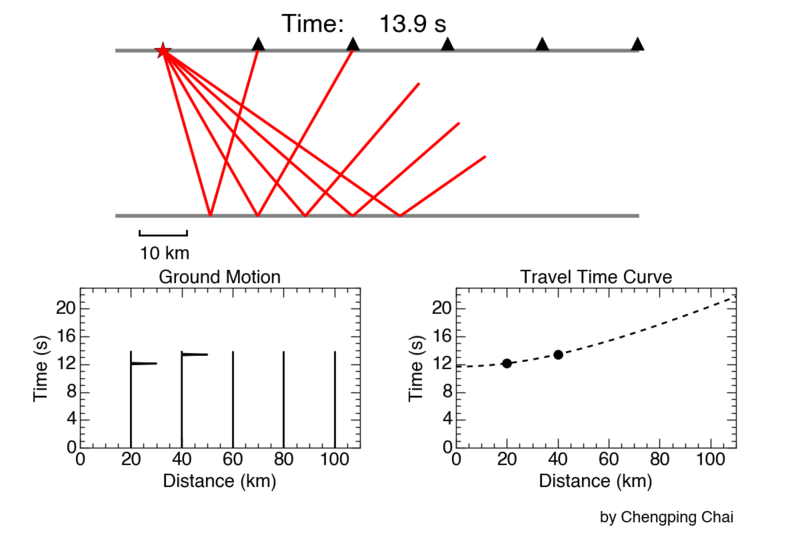 Two simulated experiments were used as simple excises (Link). Some selected figures from my research are shown below. Click on a figure to see details. © Copyright 2017, Chengping Chai. Last updated on Apr 11, 2017.